Here are some concept art for Gardens of Miranda. 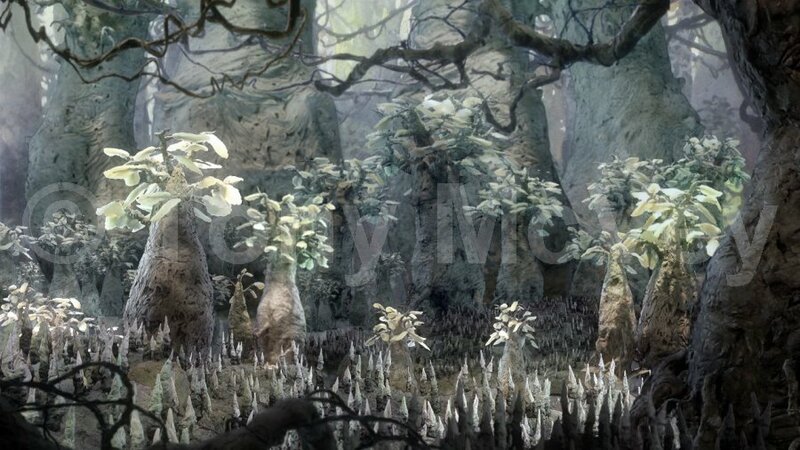 The first one, a wide view of the forest where the main action takes place, by famed paleo artist Douglas Henderson, best known for his restorations of Earth's distant past. 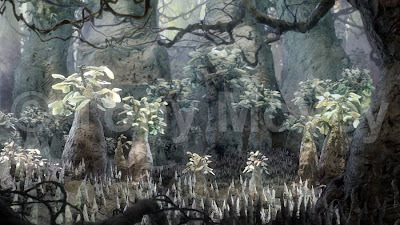 Based on the above Henderson forest concept art, a photo composite test image was created (below). I shot different sized model trees, vines and seedlings against a blue backing, using the same lighting set-up, and Greg Bossert and I spent a few hours on the computer placing, stretching, squishing and color correcting the various elements until we got an image that approximated the artwork but was photo real, because we used real photos. 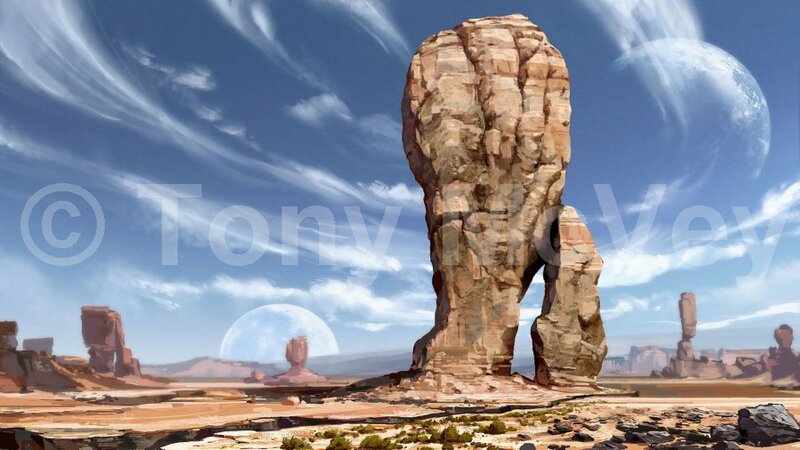 The other art concept illustration below, is a wide low-angle view of the desert and the monolith where our story unfolds, was done by movie concept artist Brian Matyas. Another view of the Heli-bug puppet, one of several forest inhabitants. So making art from stories? that was really impressing! A person with wide imagination and who can convert it to art is really one of a kind. Any kind of art comes from inside it can never learn or nobody can perform any kind of art if it does not hidden inside him. Art illustration is a very difficult art in itself but here drawing a garden in illustrator is really amazing! Nice post. I was checking continuously this blog and I am impressed! Extremely helpful information particularly the last part :) I care for such information a lot. I was looking for this certain information for a very long time. Thank you and best of luck. I gonna start blogging about few days later. So, I think to read more blogs to enrich my blogging methods. It is an useful resource for people.Where we can get different up to date element of tonymcvey.blogspot.com. 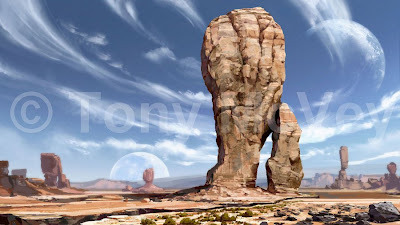 I hope,everyone get important information from http://tonymcvey.blogspot.com. I also read your posting. I like to share my Web design company long island was founded by our group of expert web developers who work together with our specialized associates who are confirmed effective in on the internet marketing, SEO, SEM and multiple different on the internet marketing techniques.